Students in the Rutgers University part-time MBA program have the option of starting the program in the fall, spring, or summer with classes offered in the evening, during the day and occasionally on Saturday. The part-time program typically lasts between three-and-a-half and four years, though students may take up to eight years in total to finish their degree. 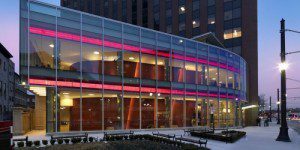 Core and foundation courses can be taken on the satellite campus and Madison, New Jersey, as well as the main campuses of New Brunswick and Newark, while elective courses are solely offered at the two main locations. The Rutgers University part-time MBA program’s curriculum requirements are identical to the full-time MBA program’s. Sixty credits are required to earn the RBS MBA, which begins with seven core courses that are worth a total of 19 credits. The core curriculum consists of are Accounting for Managers, Career Management Program, Ethics, Business & Society, Financial Management, Managerial Economic Analysis, Marketing Management, Operations Analysis, and Organizational Behavior. Students must also select three foundation courses out of six options, for a minimum of six credits. Foundation courses include Business Communications, Data Analysis & Decision Making, Information Technology for Managers, International Business, Law & Legal Reasoning, and Strategic Management. The part-time program also includes an interactive course requirement with three options for completion: Integrated Business Applications, Supply Chain Management Industry Project, or Urban Entrepreneurship & Economic Development. Students must also demonstrate their proficiency in Calculus and/or Statistics by the end of the first semester either through relevant previous coursework or by taking Calculus for Managers and Statistics for Managers at Rutgers. The rest of the required credits are completed through taking electives. Students may also pursue one of ten concentrations or design their own customized concentration. Concentration options include Pharmaceutical Management, Supply Chain Management, Entrepreneurship, Finance, Global Business, Analytics & Information Management, Marketing Research Insights & Analytics, Real Estate, Strategy & Leadership, and Marketing. These concentrations require a minimum of 15 elective credits to complete, with Finance, Pharmaceutical Management, and Accounting requiring 18 credits. The incoming GPA of students in the Rutgers Business School part-time MBA program is 3.27 with an average GMAT score of 583. Most students join with more than seven years of professional work experience and are around 31-years old. While the part-time MBA is designed for working professionals, students may take advantage of the MBA Office of Career Management (OCM) resources. In terms of preparing students for the job recruitment process, OCM primarily focuses on full-time students seeking internships and jobs and outgoing part-time students, or students one year from graduation. Part-Time students who have completed fewer than 30 credits may sign up for a session with a career advisor or attend a seminar focused on polishing résumé, cover letter, elevator pitch or interview skills. Part-time students who have completed at least 30 credits worth of classes and have no contractual obligations to their current job may register for OCM. To participate in the On-Campus Recruiting Process during the fall, the summer prior part-time students must attend a mandatory three-hour Career Management Workshop, submit a résumé for review, and pass a mock interview. For in-state residents, tuition costs $1,077 per credit, or a total of $64,620. Those living outside of New Jersey pay $1,869 per credit or $112,140 in total. There is no separate loan program run by the school, so RBS encourages US applicants to apply for federal Direct and Direct PLUS loans by filling out the Free Application for Federal Student Aid (FAFSA). International applicants need to demonstrate that they have sufficient funds to cover education and living expenses since they are not eligible for federal or university-based financial assistance. After two semesters, and provided they have maintained a strong GPA, part-time students may apply for scholarships or fellowships through the graduate admissions office. The Rutgers Business School Graduate Scholarships Fund provides various amounts of financial assistance based on need and academic potential. There are also a variety of endowed Fellowships and Scholarships linked to the school, including the DePodwin Scholarship for part-time students who receive no financial support from their employers. Students should check with the admissions office or program directors to determine eligibility and availability. In addition to an online form, applicants should submit their official academic transcripts, two letters of reference, a $65 application fee, a current résumé, GMAT or GRE test scores, and if an international candidates whose native language is not English, a TOEFL score. Applicants should also address one of three essay topics: (a) Describe an ethical dilemma you have faced and how you resolved it; (b) Explain what you have learned from your experience as a member of a team whose project was not completed successfully; or (c) Describe your greatest professional achievement and how you added value to your organization. Interviews are not offered unless requested by the Admissions Committee. Candidates who hold a Ph.D., JD, MD or PharmD are exempt from the GRE/GMAT requirement. Part-Time students with 10 years of work experience or eight years of work experience and a master’s degree are eligible to apply for a waiver to the GMAT/GRE requirement, and waivers are determined on a case-by-case basis.